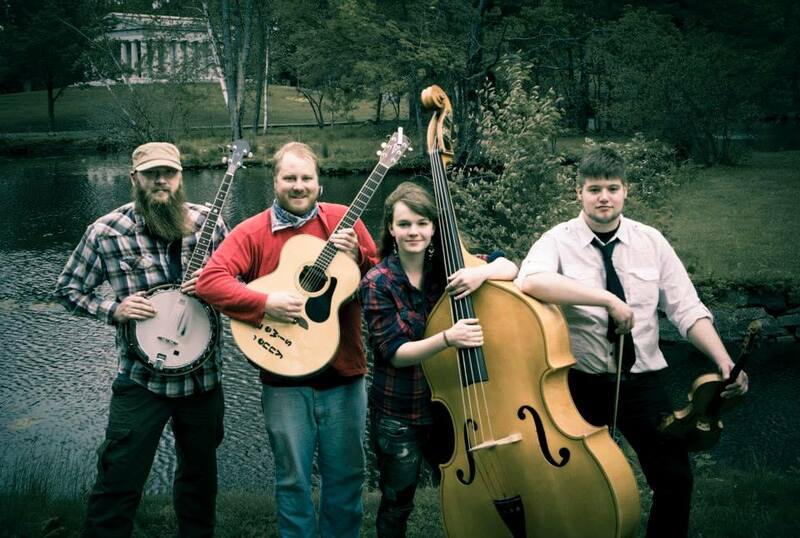 One of the Upper Peninsula’s favorite bluegrass bands SparrowTree, fronted by guitarist and songwriter Troy Graham, will be filling up the Falling Rock Café tonight with a mixture of old-time bluegrass and modern day original bluegrass that will get your toes tapping and you smiling from ear to ear—so bring your dancing shoes! SparrowTree is an energetic, fresh, four-piece, jam-grass band that is leading the way for a new generation of folk music in Marquette. Consisting of Troy Graham on guitar and lead vocals, Sam Graves on mandolin/fiddle and vocals, Russel Harmon on banjo and Heather Evans on double bass and vocals, these incredibly talented musicians are infusing a generous shot of youth and vigor into the Upper Peninsula’s folk grass scene with their captivating mix of original compositions and traditional folk repertoire. SparrowTree has played in venues throughout the Great Lakes State as well as the Porcupine Mountains Music Festival, the Hiawatha Music Festival, the Marquette Arts and Culture Center’s First Thursday Concert Series, the Orpheum Theater in Hancock, the Ore Dock Brewing Company, and the UP200 Warm-Up Concert. Troy has been performing since he was 6 years old and has played with a variety of musicians in Marquette, Michigan. This group’s music is bound to be a delight for the whole family. In order to attract great musicians and continue to support the Upper Michigan live music scene we suggest a cover charge for Saturday night live music events: $5 Adults; $1 Child; $20 Family. We hope you enjoy the show! ← One of the 10 Best Live Music Venues in Michigan!